Graham Construction can help you with any kinda of improvement that you may want to enhance your property. We understand that owning and managing recreational hunting property can be a time consuming and often frustrating task. Let us help make your visions a reality. Graham Land Clearing offers several methods for getting rid of overgrown brush and making your property usable again. 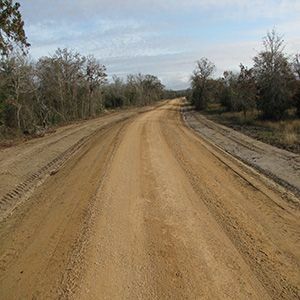 We build roads through property that will allow you years of access and dependable thoroughfare. We use only the most modern equipment to ensure our road projects are built to local codes and will last as long as you need them to. 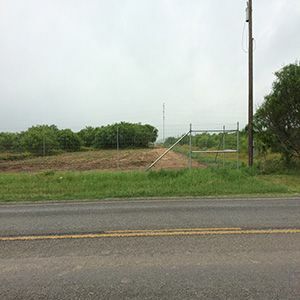 For many years, we have improved the land around Central Texas in a number of ways. We are committed to giving every customer top notch services like root plowing, excavator grubbing and forest mulching, just to name a few. We understand that owning and managing a recreational hunting property can be a time consuming and often frustrating task. Let us help you with effective wildlife management so you can spend your time enjoying friends and family. 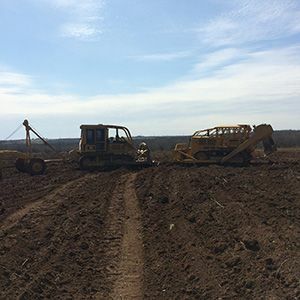 Graham Construction & Land Clearing provides exceptional excavating work, land clearing services, septic installations, site work, underground utility installations, and wildlife management expertise to discerning property owners in Bastrop, Caldwell, Gonzales, and Guadalupe Counties. Land, and our relationship with it, has always been a big part of who we are and how we function on this planet. From our earliest days, humans have tried to be one with the land and all it has to offer – from its flora and fauna, to its life-giving water and soil – land continues to be our most important resource. And in this day and age, caring for the land, giving back what you take, and utilizing its resources responsibly has never been more important. And that’s true whether you’re a lifelong rancher or a weekend getaway-er.